Step 5: Call the Building Inspector. If the landlord still won't make the necessary repairs, call the Madison Building Inspector: (608) 266-4551. For Spanish, call: (608) 266-4216. (Other Dane County listings at the bottom of this page.) Building Inspection can order the landlord to fix certain problems, such as lack of heat or hot water, a pest infestation, water damage, mold, but not cosmetic things such as faded paint or stained carpeting. The Building Inspector will order the landlord to make the repairs by a deadline and will come back to see that the repairs are complete. Step 6, Option A: Apply for Rent Abatement (City of Madison and Fitchburg Only). Rent abatement is a partial rent credit when the landlord won't fix an issue that "materially affects the health or safety of the tenant" or "substantially affects the use or occupancy" of the unit. Wis. Stat. 704.07(3)(a), 2017 Wis. Act 317, Secs. 37 & 38, Eff. 4/18/18. It pays you back for the amount of time you couldn't fully use the apartment. If the landlord doesn't complete the repairs that were ordered by the Building Inspector, tenants in the cities of Madison and Fitchburg may be eligible for rent abatement from the date of the inspection. Do not simply withhold rent, or you will risk being evicted. You must first have a Building Inspector look at your apartment and order repairs, which the landlord will have time to fix. They should tell you at that time whether those repair issues are eligible for rent abatement. If the landlord fails to complete them by the deadline, contact Building Inspection again to apply for rent abatement. If you are not sure about your eligibility, call the Building Inspector (Madison: (608) 266-4551 & Fitchburg: (608) 270-4240). MGO 32.04, FO 72 Article III. For more information see our page on Rent Abatement. Step 6, Option B: Repair and Deduct (City of Madison only). In addition to the rent abatement process in the City of Madison, IF the landlord fails to complete the repairs ordered by the inspector by the due date and the tenant is eligible for rent abatement, the tenant may choose to make repairs on their own and deduct the cost of those repairs from the rent. They must follow the procedure below. This may be an alternative to rent abatement for some or all of the non-emergency items in a repair order, but may not be duplicated by rent abatement. 1. Wait 10 calendar days after mailing the written notice, then begin work for non-emergency items. 2. For repairs which were ordered to be completed in fewer than 10 days, wait 24 hours to begin work. If the landlord files a letter of objection with the Building Inspector before the tenant begins work, then the tenant cannot repair and deduct until the rent abatement hearing takes place. For items the Hearing Examiner finds eligible for rent abatement, the landlord will reimburse the tenant for 125% of the cost of repairs as is determined by the Hearing Examiner. If the work requires a licensed professional, the tenant may not perform the work. If the tenant does the work themselves, the rate they can be paid is found in MGO 4.20(3). The tenant is responsible for obtaining all permits and approvals that are necessary. Fees required for permits and approvals may be deducted from the rent. To reduce the rent, the tenant has to submit all copies of all the invoices to the landlord, along with an itemized statement showing the actual cost of the repairs and lien waivers for all contractors that performed work. If the amount of repairs exceeds the amount of the rent, the remaining portion can be deducted from the following month's rent. The tenant may not be evicted or retaliated against for following the procedures in MGO 32.17 and it will be presumed to be retaliation if the landlord attempts to end the tenancy within the following 6 months unless the landlord can show "good cause" for the eviction. The landlord can be fined $150 to $900 for attempting to retaliate. Under state statute, a tenant cannot go to court and ask for permission to constructively evict; instead it is used as a defense if the tenant moves and the landlord sues the tenant for unpaid rent. This is why it is extremely important to document all the actions you take if you are going to constructively evict yourself from the apartment. As of 3/01/14, all landlords in Wisconsin must give at least a 12 hour notice to enter for repairs, unless it is an emergency and they have to enter to protect the property or someone on the property. ATCP 134.09(2), Wis. Stat. 66.0104(2)(a)4, Wis. Stat. 66.0104(2)(d)1, 2013 Wis. Act 76, Sec. 2, Eff. 3/1/14. NOTE: In the City of Madison & Fitchburg, these NON STANDARD RENTAL PROVISIONS are unenforceable. MGO 32.02(1)(c), FO 72-4, FO 72-29(4) Eff. 13/1/14. NOTE: Whenever repairs are needed because of the tenant's action or inaction, the landlord can charge a "reasonable hourly rate" for their time, materials, and time spent purchasing or providing materials, supervising their staff or agents, and hiring a third-party contractor. Wis. Stat. 704.07(3)(a), 2017 Wis. Act 317, Secs. 37 & 38, Eff. 4/18/18. 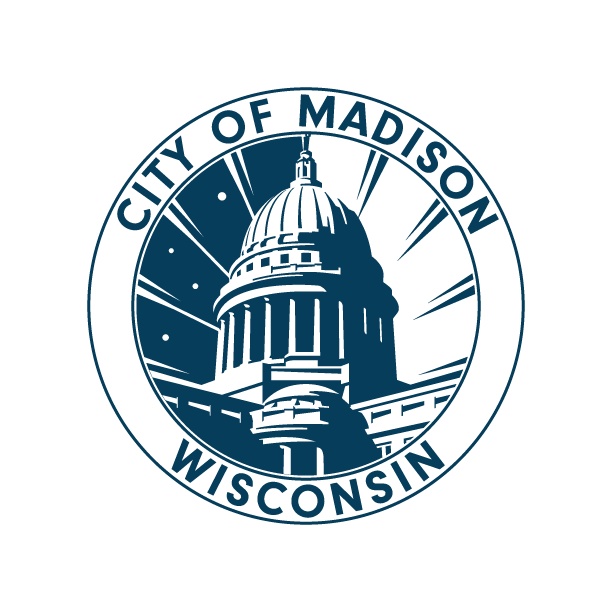 Call the Madison Building Inspector to check if there are any current building code violations or citations on the property: (608) 266-4551 or 266-4216 (Spanish). If your lease has a provision that allows the landlord to not provide the premises in a habitable condition or maintain the property, this is not enforceable and you could automatically break your lease if you needed to. These provisions make your lease "void and unenforceable." Wis. Stat. 704.44(8), 2011 Wis. Act 143, Sec. 35 Eff. 3/31/12. ATCP 134.08(8), CR 14-038, Sec. 11, Eff. 11/1/15. For more information and other reasons a lease may become void and unenforceable, see Ending Your Lease. Fill out your check-in form. Filling in your check-in form is the best way to prove the condition of the apartment if the landlord tries to make deductions from your security deposit later on for damages that were already there. The new law says you shall be given 7 days from when you move in to complete the check-in sheet and return it to the landlord. It is unclear if there is a deadline for the tenant to fill out the check-in sheet, but the landlord should give them at least 7 days. Under the new laws, the landlord can send all documents and forms related to the security deposit in an e-mail or text message. Wis. Stat. 704.10(2), 2017 Wis. Act 317, Sec. 42, Eff. 4/18/18. Wis. Stat. 704.08 Failure to meet the landlord's deadline does not in any way negate the information on the form. Eff. 3/31/12. ATCP 134 says that tenants have at least 7 days from when they move into an apartment to give the completed check-in form to the landlord. How this is impacted by 2011 Wis. Act 143 is unclear. Eff. 3/31/12. NOTE: If your area does not have a municipal Building Inspector, the State Building Inspection Unit through the Department of Safety and Professional Services maybe be able to help: (608) 266-3151. They have limited enforcement ability and may charge for inspections. You can also try calling an appropriate person at the State Health Department or your local fire inspector.